I made a card using sponge daubers to create a giant polka dot pattern on the card base. I watercolored the stamped image with Watermelon Wonder, Cucumber Crush, and Daffodil Delight ink. 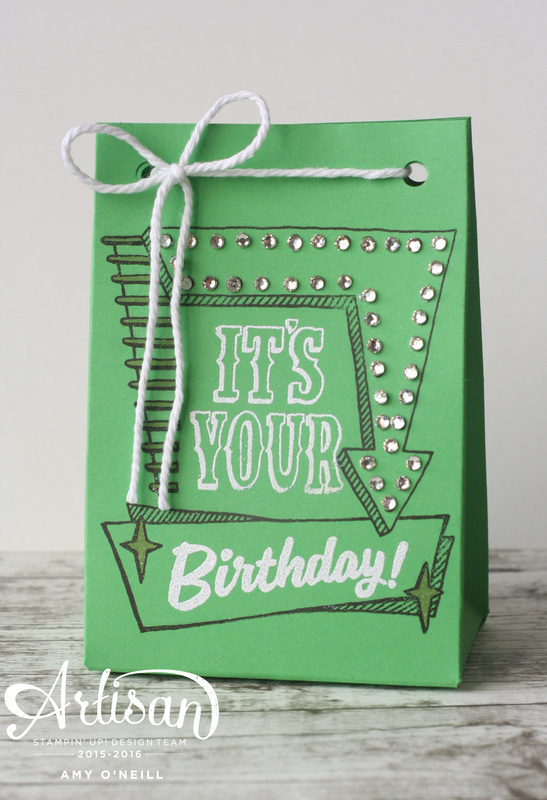 I also made a little bag using the Gift Bag Punch Board. I embossed the sentiments with white embossing powder and added gold Wink of Stella to the stars. Little Rhinestone Basic Jewels were added to all of the lights on the arrow. 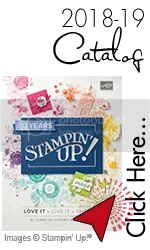 This stamp set has some really fun sentiments and I love the fun, retro feel of the images. I have more cards to share using this set and some of the other In Colors in days to come.